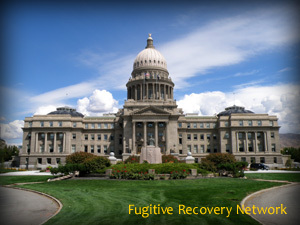 Below is basic information on bail bond laws for Idaho concerning Bail Enforcement, Bounty Hunters, Fugitive Apprehension and Bail Bondsman. This is not legal advice. Laws change frequently, please check the links provided for possible updates and current information. Idaho Code Title 19. Criminal Procedure Chapter 29. Bail. Idaho Criminal Rules (i.C.R. ), Rule 46 Michie’s Idaho Court Rules Idaho Criminal Rules Rules 46. Idaho Code Title 8. Provisional Remedies In Civil Actions Chapter 1. Arrest And Bail 8-117 Qualifications of bail. Each of them must be resident and householder or freeholder within the state. Each must be worth the amount specified in the order of arrest, or the amount to which the order is reduced, as provided in this chapter, over and above all his liabilities, exclusive of property exempt from execution; but the judge, on justification, may allow more than two (2) sureties to justify severally in amounts less than expressed in the order, if the whole justification be equivalent to that of two (2) sufficient bail. Idaho Code Title 19. Criminal Procedure Chapter 29. Bail 19-2924 Surrender of defendant by bail. Idaho Code Title 19. Criminal Procedure Chapter 29. Bail 19-2906 Nature of bail. Please check with the Idaho’s Department of Insurance, Licensing Board and/or Local Law Enforcement for the most recent updates. If you know of any updates to a Idaho’s bail bond laws, please provide as much detail as possible and send to us using our contact form.